Before emptying into the Delaware River, the Assunpink Creek has been re-engineered to flow underground through parts of downtown Trenton. One of these underground segments, or culverts, exists between South Broad Street and South Warren Street. 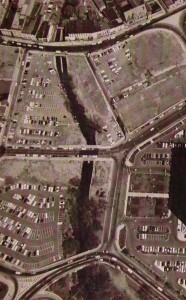 The creek is visible throughout Mill Hill Park before passing under the South Broad Street Bridge and into the culvert until it returns to the surface after the South Warren Street Bridge. 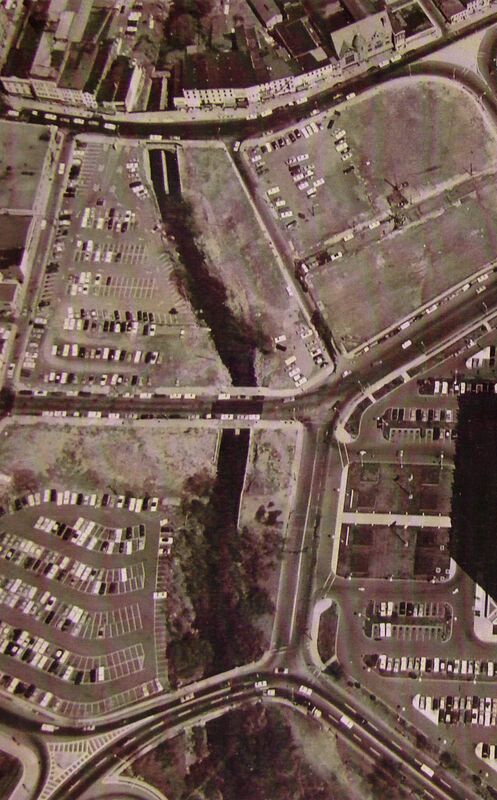 Assunpink Creek before it was channelized and placed underground. The City of Trenton has been working with the United States Army Corps of Engineers to return this segment of the creek to the surface, a process known as “daylighting.” While this project has been nearly a decade in the making, it is anticipated that construction may begin within the next year. Funding issues arose in 2015 that have put the project on hold temporarily. A community meeting was held Monday, Sept. 15, 2014, at Prudence Hall, Thomas Edison State College, to discuss the upcoming daylighting project and related initiatives. View the presentation slides here.